Just a few months after Seoul the global economy's condition shows that the focus is shifting more and more to the problem of imbalances. 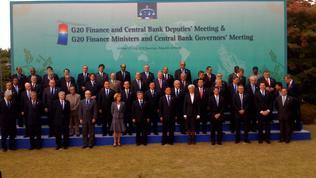 This becomes clear from the statement of the Ministers of Finance and Central Bank Governors of the G20 countries. During their meeting in Paris on February 19th they have agreed that global recovery goes well but is uneven and there are still a lot of risks. It is the imbalances that are in the basis of risks, which the leaders of the Group of Twenty developed and emerging economies agreed to address in the end of last year. Then the leaders tasked their ministers and the IMF to develop guidelines and indicators that would allow easier detection of significant imbalances. In the spirit of their task, in Paris the ministers and governors wrote in their conclusions the following major guidelines for which, they emphasize, are just guidelines and not goals: to follow closely public debt and fiscal deficits, as well as the level of private savings and private debt; to monitor external imbalances too, composed of the trade balance and net investment income flows and transfers, taking due consideration of exchange rate, fiscal, monetary and other policies. These major guidelines are still not entirely agreed, though. 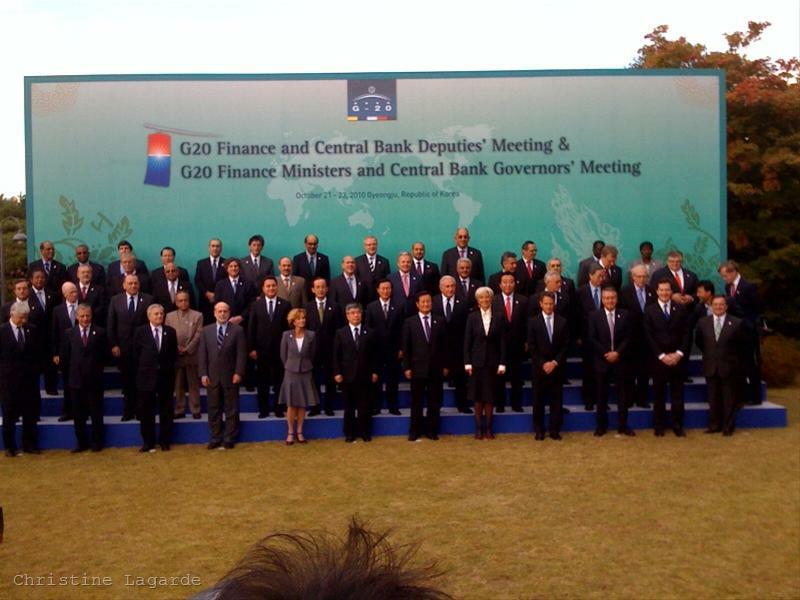 This is expected to happen by the next meeting of the G20 finance ministers in April. However, written like this, these guidelines incline on thinking that their main goal would be bubble and overheating prevention as there are indications of such in some parts of the globe. 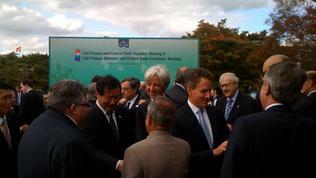 The aim still is achieving sustainable growth, jobs creation and, more generally said - putting globalisation on tracks. That is why the ministers have written in the conclusions from their meeting that agreeing on the indicators on these main guidelines would be conformed not only with national and regional peculiarities but the big producers of goods will also be taken into account. Is there a need of a change of the international monetary system? In addition to the set of indicators for growth, the G20 finance ministers pay particular attention to another issue, which the current one-year president of the Group (France) put among its main priorities - a reform of the international monetary system (IMS). In their communique the ministers admit that the IMS has proved to be sustainable but is still vulnerable, which necessitates its improvement, aimed at guaranteeing systemic stability. It is necessary, according to the document, any future changes to ensure avoiding disruptive fluctuations in capital flows, disorderly movements in exchange rates – including advanced economies with reserve currencies being vigilant against excessive volatility. The ministers have also agreed on a working programme the aim of which is precisely better functioning of IMS through single and coherent approaches and measures to tackle potentially destabilising capital flows. A series of talks on exchange rates is yet to be held under the auspices of the International Monetary Fund. According to an analysis of the Carnegie think tank though, the idea for a reform of the IMS is unnecessary. "If It Ain’t Broke, Don’t Fix It? ", yet in the title the authors of the analysis ask - Uri Dadush and Vera Eidelman. According to them, the international monetary system, which is an agreement for cooperation among sovereign nations, is composed of five major elements: a set of rules for setting exchange rates; a lender or lenders of last resort; instruments for providing liquidity and reserves (such as swap facilities among central banks and the special drawing right (SDR), an international reserve asset created by the IMF); provisions for surveillance; and a reserve currency or currencies. According to Carnegie, unlike the pre-war gold standard and the Bretton Woods dollar standard - today’s arrangement is characterised by the pronounced tendency of countries to tailor their exchange rate regime to their own needs. The most important thing, according to the analysts, is that countries may decide whether to have floating exchange rates or to peg their currency (like Bulgaria to the euro), or to use a mix of currencies to peg with. And as the central banks want to hold reserves in currencies that are widely used in transactions, markets largely determine which currencies are used as reserves. Uri Dadush and Vera Eidelman, who examine several crises during the different monetary systems last century, think that the current one proved to be working. The dollar retained its safe-haven status and most currencies followed a common path against it (depreciating during the worst of the crisis and appreciating thereafter). In addition, the authors write, exchange rate volatility was less pronounced than during the periods that preceded the gold and dollar standard collapses. The main conclusion of both analysts, however, is hidden not in historical comparisons but in something else: "... the crisis also confirmed a lesson from past currency regimes: the smooth functioning of the international monetary system rests on the soundness of the economies at the core. With confidence down in the policies and financial systems of the United States and the euro area, and with the core’s adoption of unprecedented expansionary monetary policies, all countries have become more sensitive to their exchange rate levels. China’s undervalued exchange rate and increasing economic role has only exacerbated these tensions", Vera Eidelman and Uri Dadush say in response to the main criticism of the American financial secretary, Tim Geithner, against China. Nonetheless, Carnegie admits that the IMS may work better and part of the improvements could be increasing the firepower of the IMF as the lender of last resort through periodic new SDR issuance or other means, as well as further bolstering its surveillance role. That is precisely what the G20 is trying to do, the authors says. And instead of focusing their criticism on China, whose economy currently is on its way of overheating, Carnegie recommends the United States and the euro area return to a sustainable and fiscally-sound growth path. Over time, this will allow international interest rates to return to normal levels, alleviate fears of carry trades and hot-money inflows in emerging markets, and restore confidence in the main reserve currencies - precisely the changes needed to ensure that the international monetary system function smoothly. For now, in spite of France's determination, it is not clear whether and to what extent the IMS's reform would take place. Moreover, no matter the bonne tonne of the communique of the G20 Finance Ministers, the accents, which many of the ministers put forward after the meeting show the entirely different priorities of each member of the Group. For example, for French Minister of Finance Christine Lagarde a leading topic is precisely the reform of the IMS, although she admits that all of her colleagues were aware that this will not happen for a day or two, not even for a year. According to Treasury Secretary Timothy Geithner the most important issues are the debt crisis in Europe and China's exchange rate. He again repeated his call China to speed up the appreciation of renminbi (the Chinese yuan), because the current speed is not enough to respond to the country's economic development. The European Central Bank chief, Jean-Claude Trichet, on his part spoke about the price of energy and commodities as something that has to be monitored closely for secondary effects. He also shares the opinion that global imbalances reduction is especially important, no matter the fact that this is one of the issues on which there are most difficulties. 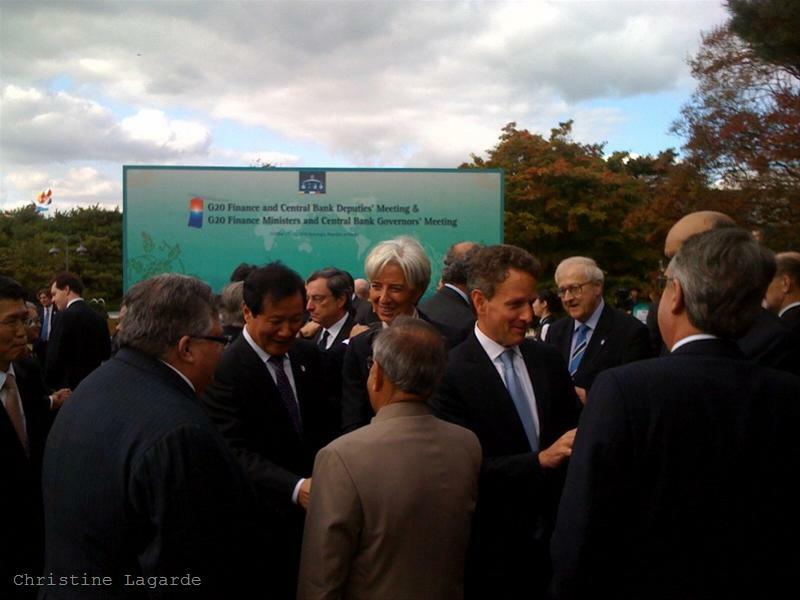 "The indicators, mentioned in the communique, of course are very important", Trichet said. The Canadian Minister of Finance is among those who share the position that the problem is not only with exchange rates but in the broader context of growing imbalances. Bundesbank Governor Axel Weber, who was Angela Merkel's nominee for a successor of Jean-Claude Trichet but gave up the post, chose a totally different angle after the meeting. For him the bank reform (Basel III) is much more important, especially if it is applied on both sides of the Atlantic, for which Weber said he had received Tim Geithner's assurances. The comment of the Russian Deputy Minister of Finance was interesting too. According to Dmitry Pankin, quoted by Reuters, the achieved on February 19th agreement was a compromise that reflected China's strong position. He added, though, that when the debate would reach the stage of specific numbers and implementation, then it would become very hard. As could have been expected, for Italy major issue is the price of commodities and the situation in North Africa. Another important topic for the Italian representative, Minister of Economy Giulio Tremonti, is the inclusion of private debt in the set of indicators of the G20. The issue is undoubtedly painful for Italy, whose level of private debt is among the highest in the euro area. If private debt is an important indicator for the G20, Tremonti predicted it would be important for the Stability Pact in the EU. He also said that it would be easier after the G20 agreement, a deal to be reached in the EU on the Stability Pact and the permanent mechanism. Tremonti is the co-author of the idea (together with Eurogroup President and Luxembourg Premier Jean-Claude Juncker) for the creation of euro obligations. The conclusion from everything hereto is that maybe, indeed, a reform of the IMS is necessary as far as it guarantees some common rules which, however, are not obligatory. And this is precisely the problem, as it is especially obvious in the eurozone. To rely on the consciousness and reason of governments around the world, especially in the context of various national situations, is rather unrealistic. This is why it is necessary whatever new rules are to be applied to be legally binding, because no one denies the interconnectedness of global economy anymore. And we all know what would happen if China sneezes. We already saw what happened when Greece got sick. Some more provident governments have already introduced or plan to introduce fiscal discpline (Bulgaria is among them, although not fullheartedly). This is the solution. The rest is only formulations, as several finance ministers said in Paris on February 19th.